NIGHT WATCH SECURITY SERVICES LTD acknowledges that employees may occasionally have problems travelling to and from work due to either severe weather conditions or major disruptions to public transport (for example, train strikes). Whilst NIGHT WATCH SECURITY SERVICES LTD is committed to protecting the health and safety of its employees, it must also ensure that its business is not unduly disrupted by external factors. This policy therefore sets out the duties of employees to attend for work during severe weather conditions or where there are major disruptions to public transport and the relevant procedures for employees to follow. It is your obligation to report for work regardless of the situation. You should therefore make every effort to attend work in all circumstances. When severe weather conditions occur or where there are major disruptions to public transport, you should take steps to obtain advice on the position from the appropriate external agencies and allow extra time for your journey, making alternative travel arrangements where appropriate. You will still be expected to attend work on time.  Unjustified or unacceptable absence or lateness may give rise to disciplinary action under NIGHT WATCH SECURITY SERVICES LTD’s disciplinary procedure. If you are unable to attend work or are going to be delayed by the weather conditions or public transport disruptions, you should contact your manager as soon as possible to discuss the position. If your manager is unavailable, you should speak to an alternative manager. Make up the time at a later date. Take any absence from work as part of your annual leave entitlement. Take any absence from work as special unpaid leave (in this case, your pay will reduce accordingly to take account of the hours/days you have not worked). Be paid as if you had attended work on the day(s) of absence. Work from home or otherwise work remotely. NIGHT WATCH SECURITY SERVICES LTD will base its decision on your individual circumstances, for example your distance from home to work, your mode of transport and how viable it is for you to work from home, and on the needs of NIGHT WATCH SECURITY SERVICES LTD . If severe weather conditions or major disruptions to public transport occur during the working day which will cause problems for you in travelling home, your manager will decide whether to allow you to leave work early (and to make up the time at a later date if necessary). NIGHT WATCH SECURITY SERVICES LTD will again base its decision on your individual circumstances, for example your distance from home to work, your mode of transport and how viable it is for you to take work with you and work from home for the rest of the day, and on the needs of NIGHT WATCH SECURITY SERVICES LTD .
NIGHT WATCH SECURITY SERVICES LTD is committed to protecting the health and safety of all its employees and this includes during severe weather conditions and where there are major disruptions to public transport and therefore a reasonable approach will be taken to the situation. You also have a duty to take reasonable care of your own health and safety and that of other persons who may be affected by your acts or omissions. This includes taking extra care when travelling to and from work in severe weather conditions and allowing more time for your journey, including making alternative travel arrangements where appropriate.